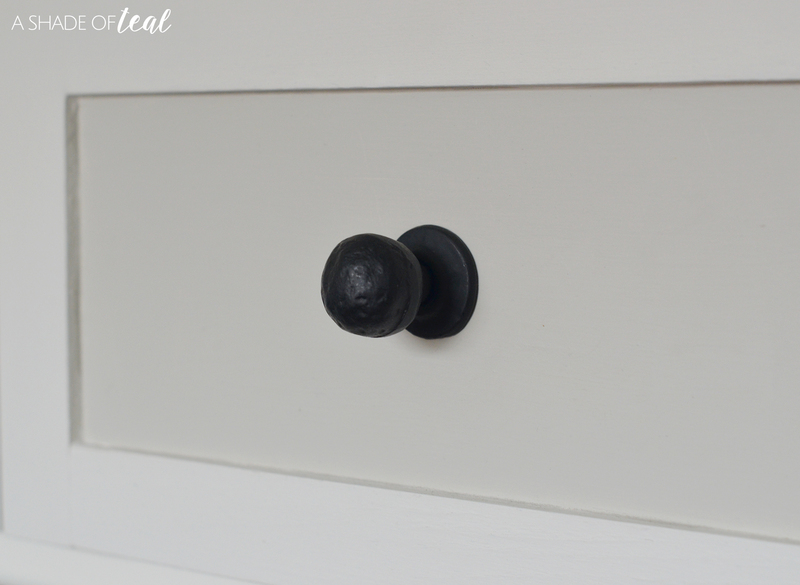 I mentioned last week I bought new hardware from Hobby Lobby for my dresser. 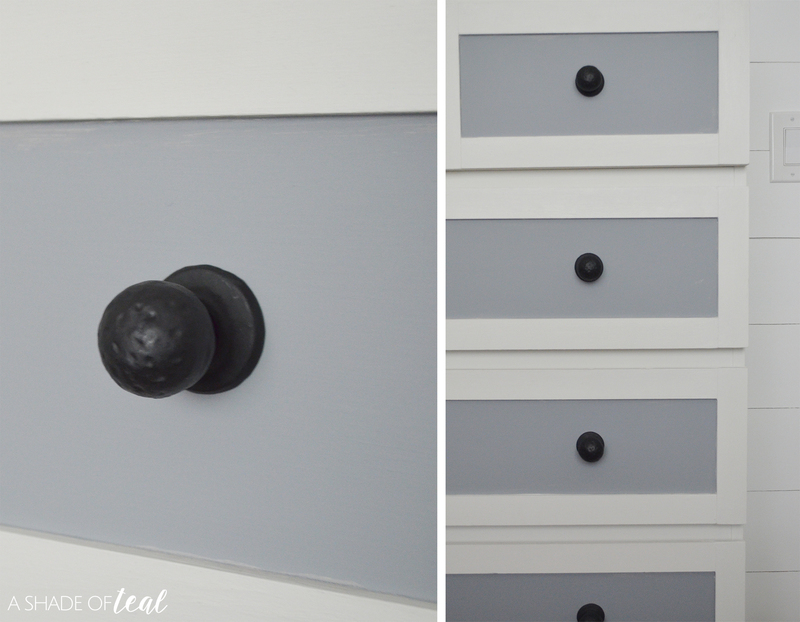 I was able to paint the light grey to be a darker grey to match with the crib. I also installed the hardware, but unfortunately realized I only bought 8 when I needed 10. So hopefully the store will have 2 more in stock! Here’s a before and now after. I was also able to complete my lamp. 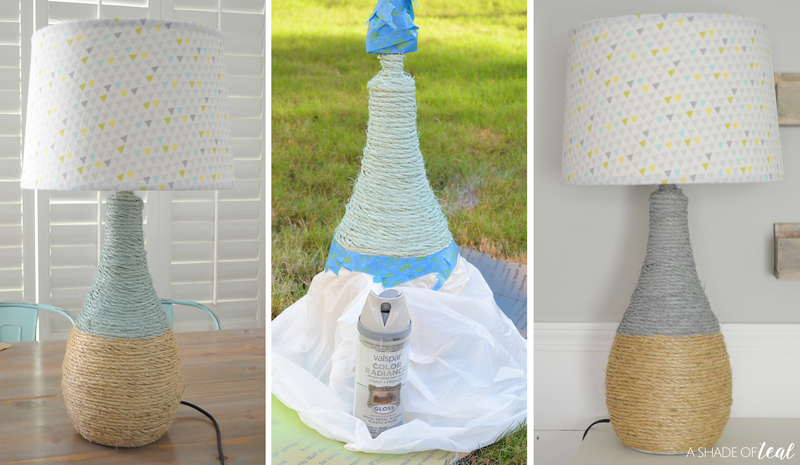 I re-covered the lamp shade then decided to paint the lamp grey. I wasn’t feeling the aqua color even though it worked, but overall in the room is was a little too much. 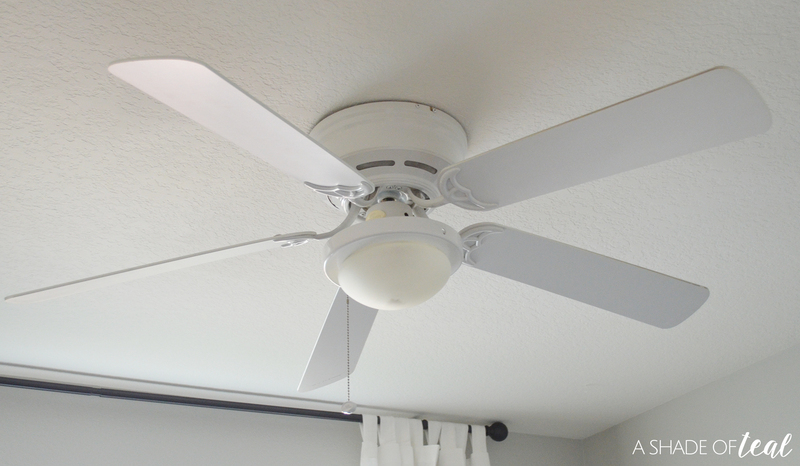 Like my other space, I finally installed a new ceiling fan from Lamps Plus! 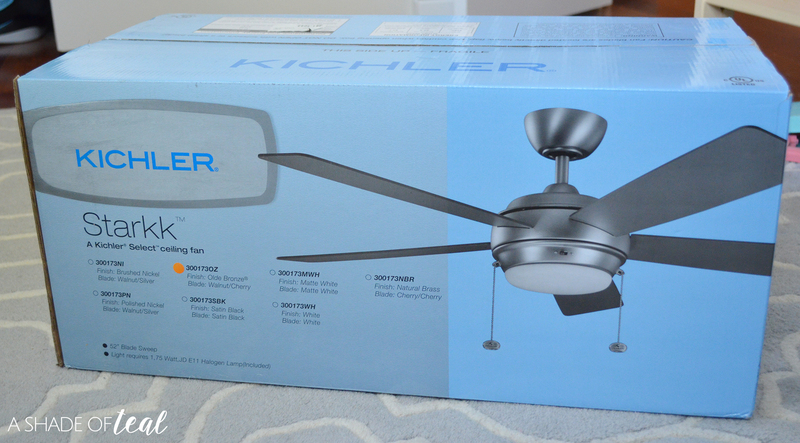 I went with the same fan as the other room, the Kichler Starkk Olde Bronze Ceiling Fan. 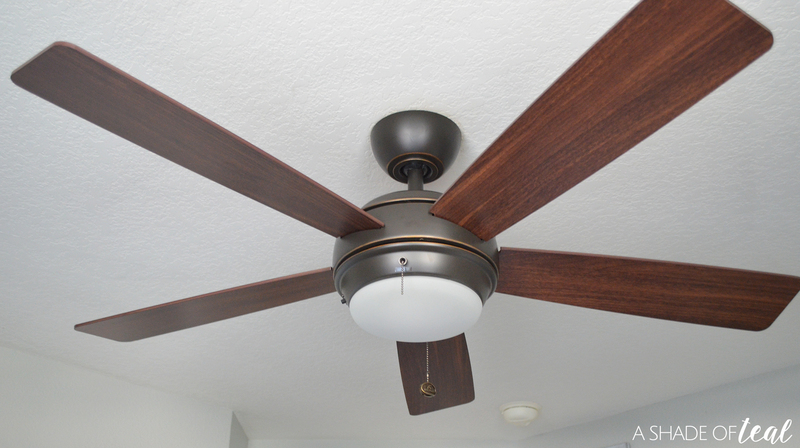 It looks even better in this space since it matches the color scheme so well. Here’s what the before and after look’s like. 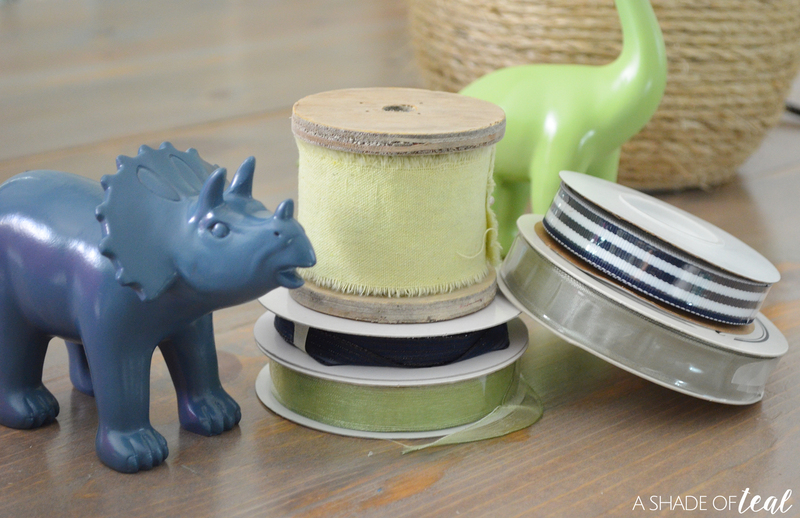 Finally, I updated some mini dinosaur toys to match my color scheme. I also purchased new ribbon to update my mobile from my last nursery. I still need to finish hanging wall art, setup my new rug, and add the final touches, but hopefully I can complete it all by the reveal. New art and wall decor- Need in hang up. I can’t wait to see the big reveal! That lamp is the coolest!